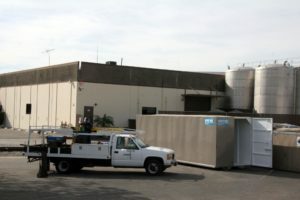 Your business may need to use portable storage containers in San Francisco only during a short period each year, but that’s an important time of year. If you operate a retail store you need the portable storage containers to house the additional inventory that you must keep on hand for the increase in sales that you’re expecting to enjoy during the busiest season of the year for your company. The only company you should trust to give you the container you need is Haulaway Storage Containers. Haulaway Storage Containers has been the leader for portable storage containers in San Francisco for many decades to give you the right place for you to house this additional inventory. Their portable storage cargo containers are guaranteed to be waterproof and are made from thick steel and have hardwood floors to be perfect for any products you need to house out of the weather and climate conditions. To help you keep your inventory safe and secure many of these containers from Haulaway offer you the benefit of their patented Rhino locking system that ensures these containers are secure from a potential break in. Not only are the products amazing from Haulaway Storage Containers, but you can have your portable storage containers delivered as soon as the next day. There are five sizes you can choose from when you choose this company for your portable storage containers in San Francisco, making it even easier for you to have the right container for your company. Whether you own a franchise store of a large chain or you have a small single shop operation your business can benefit from one of the containers from Haulaway, give them a call today and let them bring you the right sized container.